Amid today’s increased market volatility, economic uncertainty and geopolitical unrest, it is wise to know how to react when your investment plan seems to be faltering. On the road to your ultimate investing goals, one or more elements of your portfolio may decline in value. But there are a few ways to turn these unfavorable price movements to your advantage by embracing the environment and following disciplined processes. Here are three smart strategies that can help you make the most of market volatility. Let’s say you bought 100 shares of fund XYZ at $50 per share for a total investment of $5,000. Then, for whatever reason, the price of XYZ falls by 30% to $35 per share. Your total investment has shrunk to $3,500. At this point, it can be easy to panic and sell — and difficult to simply wait it out. But a third approach also exists: tax-loss harvesting. You sell shares to lock in the loss, which you can then use to offset gains on other investments, reducing your capital gains taxes. You can then buy back the investment (or a similar investment), as long as you satisfy the Internal Revenue Service’s wash-sale rules. After all, as a disciplined long-term investor, if you liked the fund at $50, you should probably love it at $35, all else being equal. In real life, investments are usually part of a portfolio, with some elements rising and others falling at any point in time. The aim is to eventually sell investments to pay for something you want (the purchase of a home, for example, or a comfortable retirement lifestyle). When you sell appreciated assets, though, you can face a sizable tax bill. If you’re unable to offset some of those gains, your goals may become substantially more expensive. Traditional retirement accounts are great because they allow you to avoid paying taxes on contributions and investment earnings today; instead, you pay taxes on withdrawals from the account at some point in the future. The idea is that you can put in more money if your contributions aren’t subject to income taxes, and your investments can grow more freely than they would if they were held in an account where dividends and capital gains would be taxable as you earned or recognized them. On the other hand, contributions to Roth IRAs are always made with after-tax funds, but withdrawals are tax-fee. 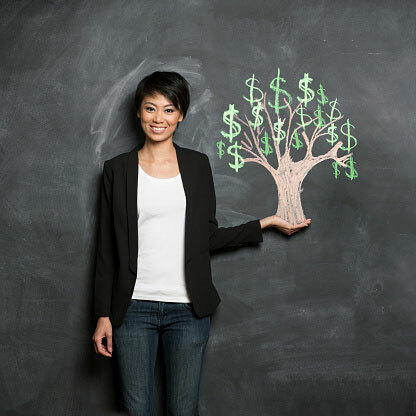 Because of the contribution rules for Roth IRAs, however, it can be hard to build a significant asset base in this type of account. One powerful way to do so is to convert assets from your existing tax-deferred IRA to a Roth IRA. When you convert assets from a traditional IRA to a Roth, income taxes will be due on the converted amount. So assets that have declined significantly in value are ripe for Roth conversion: You’ll pay less in taxes because of the current depressed value, then you’ll have the potential for future tax-free growth within the Roth IRA structure. To make any Roth conversion strategy viable, the converted assets would need to perform well enough after the conversion to offset the impact of the taxes paid. If you feel that the assets are simply in a correction, and you still like the outlook for them, then this strategy becomes more attractive. A simple, disciplined approach to portfolio rebalancing can be another very useful tool when the investing environment becomes volatile. Consider the following. Assume you have 10% of your portfolio allocated to the stock of a certain company. Let’s say it’s a teddy bear manufacturer, and your investment thesis is that people could use more hugs and that teddy bears are a prime investment to take advantage of this market need. As expected, you’re an investing genius, and this stock takes off. Because of the increase in its value, the stock grows to 15% of the overall value of your portfolio. In this case, a rebalancing approach would suggest that you sell a portion of the stock, capturing some of the gain, to trim your position back to the 10% target. Conversely, if the stock fell in price so that it made up just 5% of the total portfolio, the same rebalancing discipline would have you buying this stock at the depressed price so that your allocation gets back near the 10% target. You’d be taking advantage of lower prices in search of long-term growth. This strategy makes sense to most investors, but “selling winners” and “buying losers” can be hard to implement objectively. Your asset allocation may contain some components that zig while the others zag, and perhaps some that simply stay put when zigging and zagging inevitably occurs. What this means is that positions in your portfolio can, and should, be graded by what purpose they are serving to the overall portfolio strategy and not just their individual performance. If an asset or asset class in your portfolio is underperforming, ask yourself why that may be. It could be serving a purpose. Nobody wants to see their investments decline in value, but declines are normal. The real challenge is: How will you react when those declines occur? The natural instinct is often to react emotionally, but by having a plan in place — and knowing how to deal with these events — you can make the most of unfavorable market activity. Maybe it's just because I'm not a professional advisor, but I find it difficult to follow these strategies. Thanks Susan. These strategies definitely can be complex and they certainly can be difficult to follow without the right team of advisors. Are you concerned about major market swings in the future? I've already benefitted from Roth conversions. Looking into the other two now. Thanks for commenting on my article, Peter. Performing Roth conversions is smart, but pending changes in the tax code can complicate the analysis a bit. Are you thinking of doing more conversions soon?